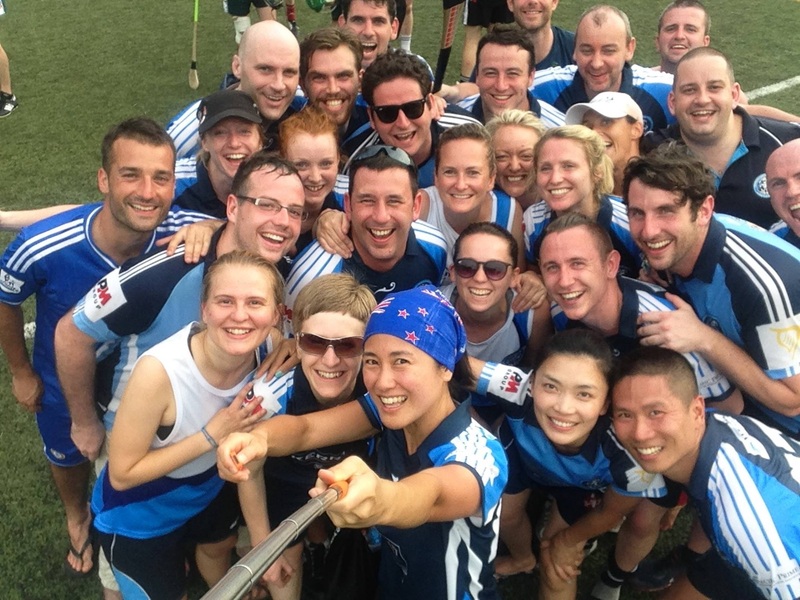 It was an epic weekend in Hong Kong for Shanghai Ladies A Team, Shanghai Men’s A Team, and a combined Shanghai B Team. Also for the first time ever, Shanghai was represented by a Juvenile team! In sweltering hot conditions, it was the lads’ turn to come home with silverware this year. In a nail-biting final against Seoul Gaels (who they had defeated decisively in an earlier pool) the scores became almost even in the second half but Shanghai ran out of time and were defeated by just 3 points. Congrats to the guys for brilliant performance and for coming away with silver medals! Well done also to Shanghai women’s team who secured themselves a place in the Cup Semifinals against Seoul but were defeated at this stage of the competition. Seoul went on to play Hong Kong in the finals, during which the hosts convincingly showed they should retain the cup for another year. Thanks goes to our coaches Jussara Bierman, Conor Gormley and Jimmy Dillane and also to team captains Ciaran Mannion and Sinead. Thanks also to the players who travelled and for the all important travelling supporters. This tournament has become monumental in club history as it was the first time Shanghai GAA sent a full Juvenile “away” team to compete at an international tournament. The kids did absolutely brilliantly and had a lot of fun playing against slightly older and more experienced host youth teams. Thanks goes to Jing Huang, Peter Mooney, Adrian Donoghue and Cece for making this happen.